An analysis of published studies conducted by researchers Jaen University (UJA) indicates that the Tai Chi You can help reduce the number of falls in both the older adult population and adults at risk. The findings of the study group members in Physical Activity, Physiotherapy and Health, and Innovation in Nursing and Health Care and Cellular Stress and Age were recently published in the prestigious scientific journal ‘Journal of the American Geriatrics Society‘ and they offer a simple and holistic way to prevent injuries, as reported Thursday the UJA. Tai chi is an ancient Chinese practice centered on flexibility and coordination of the whole body, paying attention to promoting harmonized movement in space. Previous research has shown to be an effective exercise to improve balance control and flexibility in older people. “This suggests that the practice could help protect against falls, which they are the primary cause of traumatic death in older adults and that generate a large burden on the public health system due to comorbidities associated subjects falling. Therefore, preventing falls emerges as a major global objective for health policy aimed at older populations”, He explained the Dean of Physiotherapy of the UJA and member of the research group of this study, Rafael Lomas. In his research, the team formed by Rafael Lomas, Professor Department of Nursing Rafael del Pino, Professor of the Department of Health Sciences Francisco Javier Molina and Esteban doctorando Obrero, He conducted a systematic review in the medical literature of the most recent relevant studies and statistical integration of data from these studies through a meta-analysis. 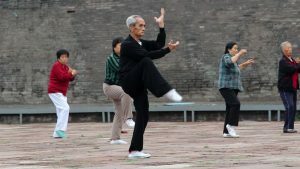 The team identified ten randomized clinical trials that analyzed the effect of tai chi compared to other treatments (as conventional physiotherapy, the low-intensity exercise, stretching or yoga) on the risk of falls in adults at risk and in older adults. Specifically, The study analyzes the risk of falls, namely, the number of falls reported by study subjects. This concept is more informative because it indicates the risk of injury more accurately. From his study, They claim the practice of tai chi provides a significantly reduced risk of falls 43 percent compared with other interventions in the short-term monitoring (less than twelve months) and a reduced risk of falls 13 percent in the long-term monitoring (more than twelve months). 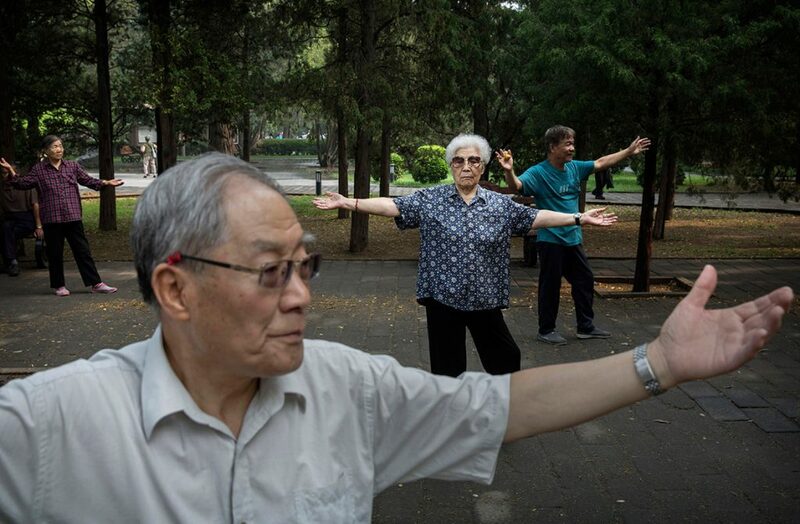 “According to these results, there is evidence that high quality Tai Chi significantly reduces the risk of falls and we believe there is scientific evidence for health professionals recommend practice Tai Chi in older adults”, He commented Lomas. Regarding harmful falls, There was evidence of very low quality of the Tai Chi reduces the risk by 50 percent in the short term and on a 28 percent long term. Practice Tai Chi You can reduce the risk of falls by almost half during the first year of follow-up, and this effect can be extended to more than one year follow-up, although the magnitude of the effect is substantially reduced. Long-term, “practice Tai Chi It may be recommended to prevent falls in older adults and adults at risk”. The duration of the interventions ranged from twelve to 26 weeks, while the frequency of one-hour sessions ranged from one to three times a week. “However, due to the small number of published studies, More trials are needed to investigate the effect of Tai Chi on injurious falls and the time to first fall”, He has clarified the researcher.